Walt Disney (Tom Hanks – Captain Phillips) made a promise to his children that one day he would adapt one of their favourite stories into a motion picture. The book was Mary Poppins, but its author P.L. Travers (Emma Thompson – Love Actually) is firmly against such an endeavour. Knowing that he needs her blessing to obtain the rights, Walt invites her over to California to persuade her to sell. But for a man always used to getting what he wants, Walt doesn’t bank on the cantankerous Ms. Travers being such hard work. Writers Kelly Marcel and Sue Smith have done a remarkable job in adapting this fascinating true-life story into a compelling family drama. It caters for every demographic and makes the story behind the story of Mary Poppins just as rewarding a watch. Director John Lee Hancock also creates a very warm and embracing ‘Disney’ looking movie that plays up to the history of the great studio. 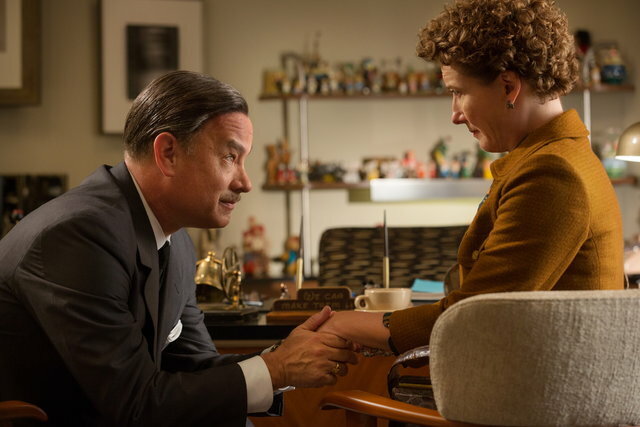 Tom Hanks has had an enormously rewarding year with two stand-out performances. He follows Captain Phillips (which is sure to get him an Oscar nod) with a captivating portrayal of Walt Disney. In many ways, Hanks is the only man who could have played the iconic Disney with such conviction and likability. Hanks performance is matched by Emma Thompson’s flair for the stiff upper lip and she clearly relishes the opportunity to be so bad-tempered and irritable. If you feel like Thompson’s character is a bit too mean, just stay and watch the end credits. You’ll hear the real audio recordings of P.L. Travers’ sessions with the Sherman Brothers and you’ll see how spot-on her performance actually is. The supporting cast are all outstanding with Paul Giamatti very enjoyable as a hopelessly-optimistic chauffeur who eventually wins over P.L. Travers. Jason Schwartzman and B. J Novak do a stellar job breathing life into the musical duo of the Sherman brothers whilst Bradley Whitford dutifully obliges as screenplay writer Don DaGradi. 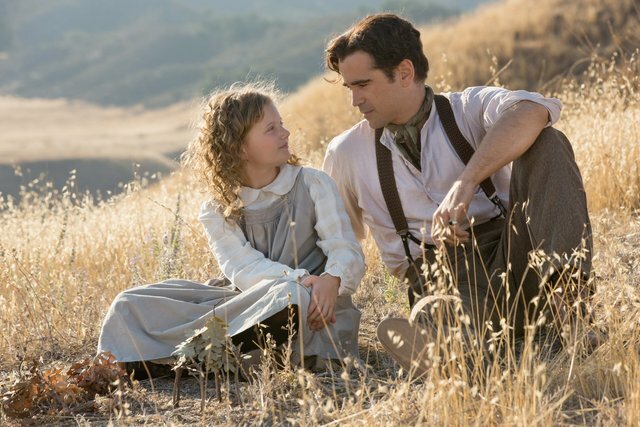 As good as they all are, it’s Colin Farrell that’s the real unsung hero of Saving Mr. Banks. It’s his character that gets you most vested in the back-story and it’s his performance that gives you the most emotional pull. Free of cliché, pretence and contrived drama, Farrell gets the balance of comedy and tragedy just right. He also shares a wonderful dynamic with Ruth Wilson as his wife and Annie Rose Buckley as his young daughter Ginty. 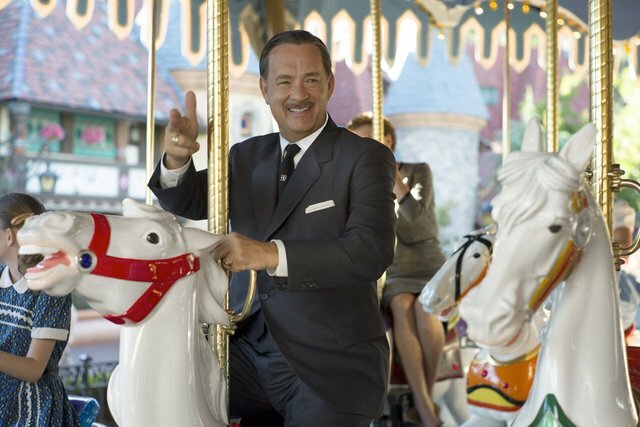 Saving Mr. Banks proves that Disney hasn’t lost any of their magic when it comes to live action productions. Using a remarkable true story as a backdrop for its affecting drama, and with a collectively impressive cast, this is one of the highlights of the year. You’ll never look at Mary Poppins in quite the same way again.